Do you need more leadership development, professional development, and corporate training in your company? And do you want a dynamic, interactive trainer? Perhaps you’re looking for a results-oriented leadership development program? 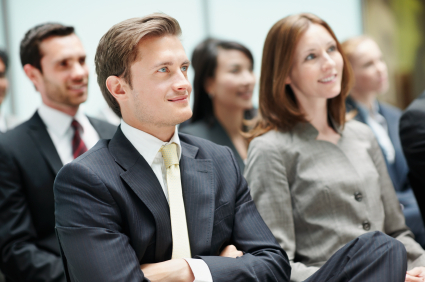 Corporate training, along with executive coaching, is critical for change and growth. Leadership development builds not just knowledge. It also builds practical skills. Most importantly, it builds your company’s future. Thankfully, we don’t offer boiler plate leadership development programs. Rather, we customize our training programs. We focus on the specific needs of your company and your people. And while we are based in Grand Rapids, Michigan, we work all over the nation. See below for a partial list of our corporate trainings. Not seeing what you’re looking for? Contact us. Leadership development and professional development. This is where it starts. But what is leadership? And what does a great leader look like and do? In this hands-on training, emerging, new, and even seasoned leaders will benefit. First, they will learn what a leader is and is not. Second, they will understand the challenges they will face as a leader. Third, they will become more self-aware about their strengths, weaknesses, and what drives them. Additionally, they will discover their own unique leadership style. They will identify better time management skills. Plus, they will learn how to empower others. They will increase collaboration and teamwork. And finally, they will learn and practice key communication skills. Executive presence is the career “X” factor that helps you stand out. But more than that–gain influence. However, executive presence is poorly understood. Yet experts consider it important for career advancement and success. This workshop is aimed at current and emerging leaders. First, they will understand the many components of executive presence. Second, they will identify strategies to help enhance their presence and influence. And third, they will walk away with greater confidence. Have you ever received negative feedback? And have you ever given feedback that others received poorly? Furthermore, have you lost sleep over a difficult conversation you need to have? In this leadership development training led by an executive coach, we will explore various perspectives on crucial conversations. Fortunately, clear and helpful feedback can become your strength. You will learn more about your feedback style. You will identify ways to communicate tactfully and diplomatically. Additionally, you will leave with a practical process you can use for difficult conversations. What does it take to have an empowering team? A team that is collaborative? Effective? And, what does effective really mean? Further, what gets in the way of teamwork? Of results? This corporate training is based on the work of Patrick Lencioni and other team experts. We will explore what makes for a great, high functioning team. Participants will learn more about themselves and others. Additionally, they will learn about the myths that surround teamwork. And they will develop strategies for taking their team to the next level. Most leaders know how to direct and give advice. But they often don’t know how to take a non-directive, collaborative approach to empowering others. Yet, this approach helps people to take the initiative, have ownership, problem-solve, and discover and implement their own solutions. That’s coaching. Empowerment Coaching Training teaches managers, directors, executives, front line supervisors, and other leaders the process and 11 skills of coaching. As a result, leaders who learn to coach also will increase employee collaboration, performance, engagement, and retention. Based on the famous Strengthsfinder assessment, this workshop is aimed at individuals and entire teams. Participants will 1) Become more self-aware. 2) Identify their strengths. 3) Explore opportunities to leverage those strengths. 4) Gain a better understanding of how others’ are wired. 5) And create strategies for collaboratively working together. The objective? To improve performance. Improve communication. Improve results. Additionally, this workshop includes assessments and all materials. In collaboration with one of our partners, Express Employment Professionals, this is one of the most popular trainings offered. Participants will take a closer look at the four generations of workers who are side-by-side in the workplace for the first time in history. Also, they will begin to look at the fifth generation that is emerging. This workshop will explore the characteristics and preferences of each group. And finally, participants will understand the societal impact that shaped the generations. A generational assessment is available. According to Gallup’s latest research, 88% of employees in the U.S. say they are overwhelmed and cannot add anything else to their plates. Time management affects the best of us. Yet, there are always ways to become more proactive and efficient. This time management training can be customized to your needs. It’s hands-on and practical. It includes small group brainstorming and other exercises. The ultimate objective is to help staff be more productive and less overwhelmed. According to Gallup, 49% of all employees say that meetings are their biggest time waster. Meetings tend to disengage the participants. And worse, they lead to little decision making or results. This training will help leaders lead meetings that are clear, concise, and get to the point. Meetings that will engage the audience for greater participation. And meetings that are result-oriented. So stop wasting time and learn how to lead and facilitate meetings that are effective and productive. Communication is the basis for everything. And yet everyone can stand to improve their communication skills. In a time when everyone is feeling overwhelmed with too much on their plates, and often not feeling heard or valued, effective communication is vital for personal success. But more than that, it’s vital for the success of the company he/she represents. Do you lead meetings? And do you give presentations, either informally or formally? Would you like to communicate more effectively and persuasively? Then this training is for you! In this training, participants will polish their presentation skills. Second, they will understand the needs of their audience. And they will learn to speak clearly, concisely, and persuasively. Explore how leadership development, professional development, and corporate training can benefit your organization or team. Contact us today.